Value Added Tax, or VAT, is perhaps the form of taxation that is most frequently taken for granted by consumers. Rather than being deducted from your pay cheque, or paid by Self Assessment at the end of the year, VAT is generally at the point of sale. 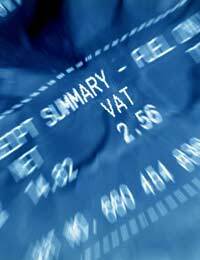 VAT is charged on most goods and services in the UK and the rest of the European Union (EU). Generally, the tax is included in the price you see on the product. For example, if you pick up a pair of shoes in a shop, the likelihood is that the price will include VAT. The tax was devised by the head of the French tax authority in 1954; in France it is the single most valuable source of governmental income, responsible for almost half of all government revenue. VAT is a European-wide tax which every member country is obliged to charge as a result of a series of EU Directives, particularly the Sixth VAT Directive. However, while every member state must operate a VAT system, some have negotiated exemptions for certain regions (including Gibraltar and the Channel Islands for the UK). Furthermore, each member state is at liberty to set their own rates. Currently, the lowest standard rate of VAT in the EU is 15% (Cyprus), although certain goods and services carry a different, lower rate. Further details of each of these items can be found in the HM Revenue & Customs Notice 701/39, available on their website. The list of zero-rate items is extensive, and can be viewed in full in the Notice mentioned above. When you receive a receipt from a retail outlet, it will not generally list the amount of VAT that you are being charged separately. Sometimes, however, receipts will include a breakdown of the total cost, including the portion of the total that is accounted for by VAT. This is for informational purposes only and does not mean that you are being charged extra. If you receive a receipt from a non-retail supplier who is Registered To Charge VAT (for example, a VAT-registered builder or other contractor), the VAT amount must be shown separately. In these cases, you should also check to ensure that the supplier has given their VAT number, as there have been instances in which organisations and individuals who are not registered to charge VAT have been doing so anyway, and pocketing the difference.